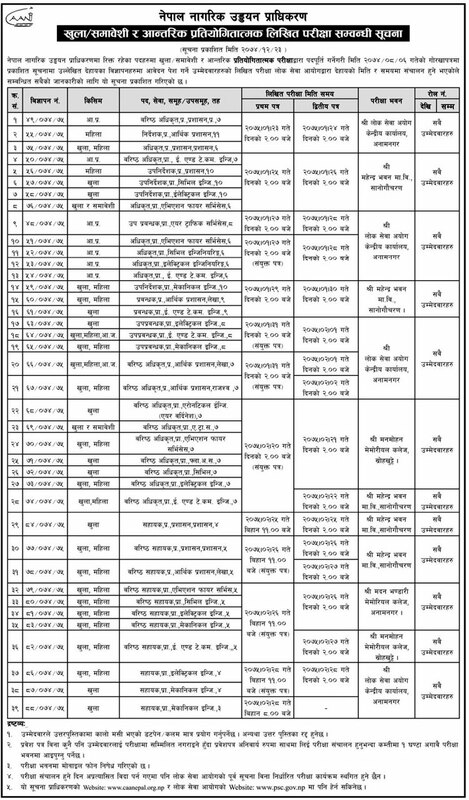 Civil Aviation Authority of Nepal has published a notice regarding written examination schedule of various positions. The notice has published examination date and time of open and internal examinations for the vacant positions. Applicants who have submitted an application for various vacant posts are called for the written examination in the following time schedule.